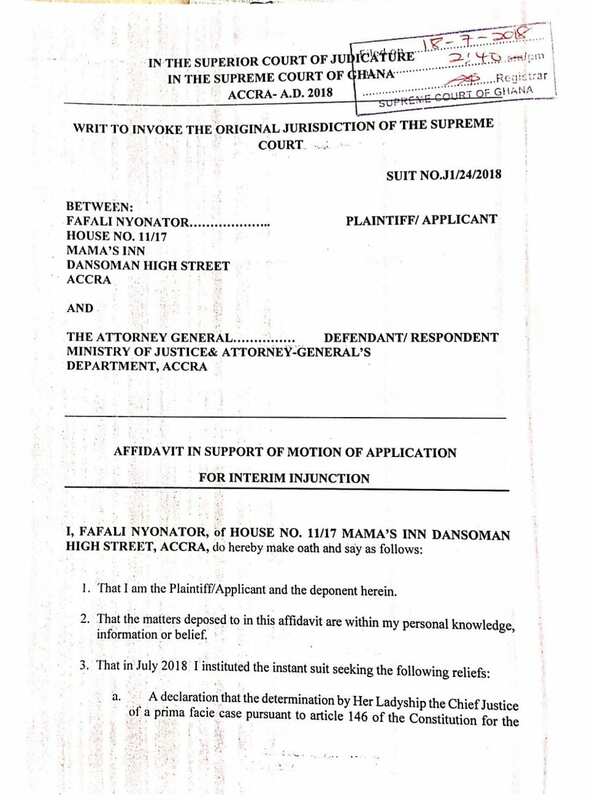 A private citizen, Fafali Nyonator is seeking an interlocutory injunction to be placed on the intended appointment of a chairperson for the Electoral Commission pending the hearing of a substantive case. The plaintiff is seeking among other things from the apex court of the land, four key reliefs. 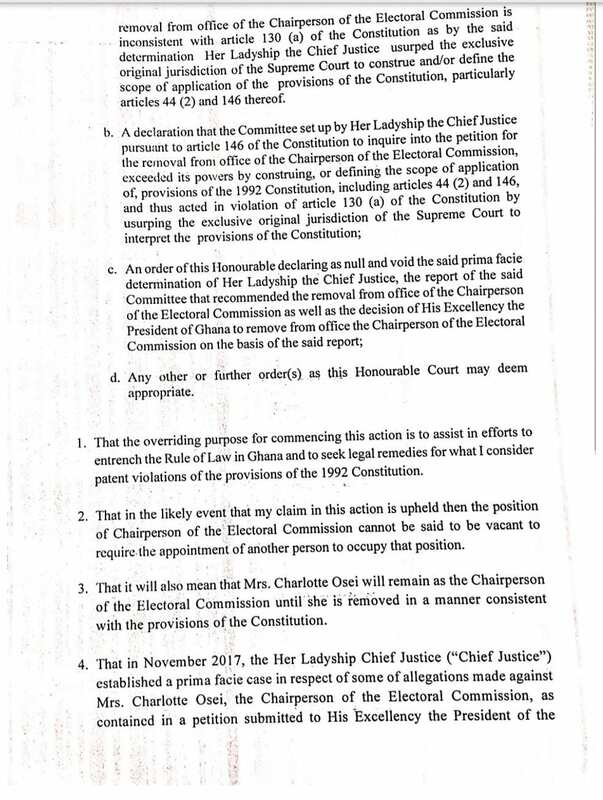 A declaration that the determination by the Chief Justice of a prima facie case pursuant to article 146 of the constitution for the removal from office of the EC chairperson is inconsistent with article 130 (a) of the constitution. 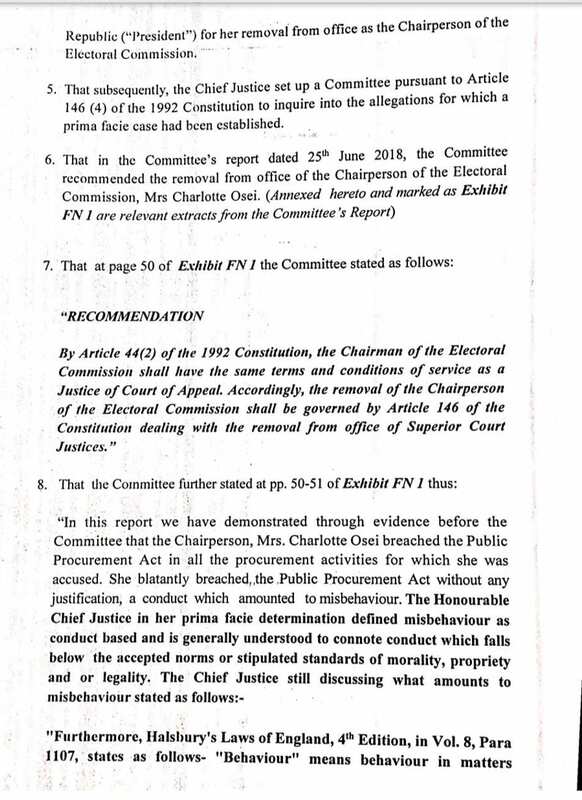 A declaration that the committee set up by the Chief Justice pursuant to article 146 of the constitution to inquire into the petition for the removal from office of the EC chairperson exceeded its powers. That the court declares as null and void, the said prima facie determination of the Chief Justice and any other further order or orders as the court may deem appropriate. The suit comes amid projections that the president is likely to announce the appointment of a new Chief Justice before the end of this week. It would be recalled that President Nana Addo Dankwa Akufo-Addo Nana Adda Dankwa Akufo-Addo, has, on Thursday, 28th June, 2018, removed from office the Chairperson of the Electoral Commission, Mrs Charlotte Osei, and her two deputies, Mr. Amadu Sulley and Ms. Georgina Opoku Amankwah, with immediate effect. 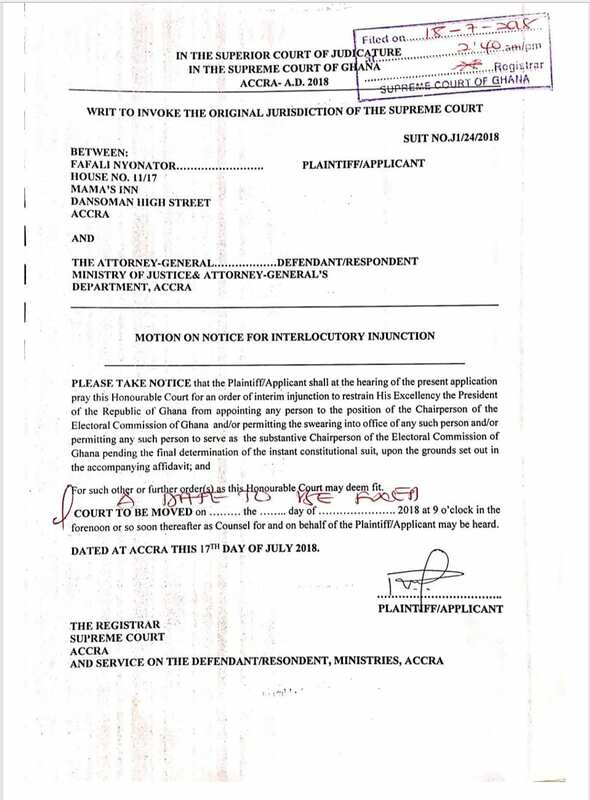 This was after the Committee set up by the Chief Justice, Justice Sophia Akuffo, pursuant to Article 146(4) of the Constitution, to Investigate separate complaints brought against the three persons by Ghanaian citizens, recommended their removal from office. The Committee recommended their removal on the basis of stated misbehaviour and incompetence, pursuant in Article 146(1) of the Constitution.